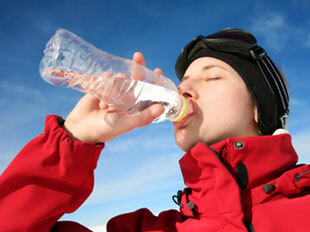 Archives for January 2012 | Your Health. Your Lifestyle. There are around 1.5 million people that are diagnosed with cancer every year in the United States only. There are herbs, supplements and extracts that are becoming more and more common along side the integrative medicines. The reasons being that they will help to strengthen the immune system and try to ease the side affects you can get from frequent chemotherapy and radiation. Firstly there are many supplements which may interfere with the treatment of your cancer so never approach any type of supplement before you have discussed the matter with your cancer doctor and the team that are treating you. The hospital that you are under may also have an integrative medicine division so would be a good idea to contact them to gain more knowledge about herbs, supplements for nutrition and information on the different teas available and how you can stay strong in yourself to cope with side effects from your treatment. Secondly, depending on your own personal situation can make a huge difference on which type of supplement will suit you. Discussing this with your medical team is also a good idea, as well as any research you want to do of your own to see what you can come up with. 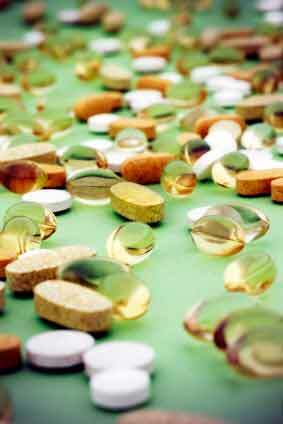 The majority of the supplements around have not been tested in large clinical trials. So when doing your research it is so important that you make your decisions wisely, you need to be 100% sure on your choice before going ahead with it. When you find out you have cancer one of the main things you need to try and keep up is your immune system. This can make such a huge difference in the way you feel and how your body will react to the treatment given. The relationship between both the cancer and the immune systems function is a subject not often spoken about. Tim Birdsall, ND, the vice president of integrative medicine at Cancer Treatment Centres of America as well as part of the National Advisory Council for Complementary and Alternative Medicine for the National Institutes of Health has claimed that the immune system is a misunderstood part of cancer treatment and is never thoroughly looked in to. Seeing as your immune system is all about destroying and unrecognised cells that enter the body it’s understandable that the cancer cells are brutally attacked by the immune system leaving it feeling drained and low. However when the cancer is only at its early stages he cancerous cells actually mimic that of an ordinary cell leaving the immune system oblivious to the fact that the body is under threat, so when the cancer cells finally show their faces the immune system is taken by surprise by the quantity and depth in which they attack the body. Vitamin D – According to recent study’s Vitamin D is one of the most researched supplements for cancer prevention and treatment. It was found in some studies in 2008 that Vitamin D was a deficiency in women diagnosed with breast cancer; however it was also shown that Vitamin D was a cause to spread the cancer and the risk of death. The National Cancer Institute went on to find there was absolutely no connection between cancer spreading and Vitamin D and cancer death. Some studies have shown great connections between Vitamin D helping to protect against prostate cancer, but there will be a constant dispute between this vitamin and whether it hinders or helps towards cancer but it is most definitely one of the most studied supplements. Garlic – Eating lots of garlic are less likely to develop certain common cancers. This is information that has been found through research led by scientists investigating the possibility of cancer prevention properties being found in garlic eaters. It is known to boost the immune system depending on how the garlic has been processed as well as some of the actual substances within garlic have been used in a lab to fight certain cancer cells including breast and lung cancer. Although eating garlic itself has been mentioned in studies to decrease the risk of stomach cancers and those alike, the actual supplements of garlic did not have the same effects. You would indeed need to eat both garlic and take the garlic supplements in order to have any effect. Green Tea – Green tea contains polyphenols which are believed to have powerful anti cancer abilities. When a tumour grows it relies heavily on a network of blood cells that work fast, to keep up with the rapid growth. The polyphenols in green tea almost strangle the blood vessels in the tumour leaving it with a much harder job of spreading. In order for this effect to be had on the body you would need to drink 10 – 12 cups of the tea every day so taking green tea as an extract would be the ideal option. There are some concerns about whether the extract has contributed towards liver toxicity and that the 10 – 12 cups a day would not treat the cancer but to help towards prevention instead. The survival rates may be helped in some cancer patients by taking the green tea extract but has said previously you would need to keep up the high consumption. The cancers that were found to be affected most through research were bladder, oesophageal, pancreatic, ovarian and cervical with all other types having mixed reviews with subsequent findings. Mushroom Products – Asian medicine have used extracts from mushrooms for thousands of years and have proven health promoting aspects linked to them. The polysaccharides found in certain mushrooms show results towards the growth and invasions caused by some cancer cells including breast cancer. Shiitake mushrooms have a substance called Lentinan which when used in labs showed that it can battle against cancer cells growing along with some other mushroom types promoting tumour fighting properties. The data backing these claims however is quite limited. Not many mushroom extracts have been used in human cases, mainly just among lab experiments and research. Antioxidants – You will recognise these as being found in many different fruits and vegetables as well as some nuts grains and meats. The particles in them called phytochemicals are said to fight certain molecules of oxygen in the body called free radicals that damage DNA and provoke cancer cells. Vitamins A, C and E, green tea, selenium and melatonin which is a hormone produced in the brain are all types of natural antioxidants so the use of the antioxidants as a prevention for cancer is both a confusing and questionable subject as in fact high doses of vitamin A and E can cause an increase in cancer just like smokers who take high doses of beta carotene will be at a higher risk of getting lung cancer. Ginger – Feeling ill and vomiting are the two most common side effects encountered from having chemotherapy to treat cancer. They can be very serious side effects as they can cause sudden weight loss resulting in the body becoming weak and causing fatigue, this alone will make your body struggle in the battle against the cancer so having a form of supplement to help you recover from the feelings of nausea are a great help. There are a few different anti-nausea medications on the market and many cancer patients has revealed that ginger has been a major help in reducing signs of vomiting. The evidence shows that chemotherapy patients drinking high protein ginger drinks twice a day didn’t need to take any further anti-nausea medications as the ginger had done the trick alone. Iron – Cancer causes fatigue. It’s a well-known fact, leaving the body feeling tired and drained with a lack of motivation. Some cancer treatments like radiation therapy can cause damage to bone marrow cells that produce red blood cells leading to anaemia; iron deficiency. Anaemia is caused by your red blood cells not carrying enough oxygen around your body leaving you feeling tired and low. Taking iron supplements can help with the fatigue but taking too much can also cause damage to your liver and heart, so it is important to make sure your GP knows that you are going to take iron tablets for future reference. L-glutamine – Nerve damage is a common side effect caused by certain drugs included by many used in chemotherapy such as paclitaxel. Paclitaxel has shown in some studies that it can help with pain, numbness and tingling. The L-glutamine is taken orally so only requires minimal effort. Exercise — Jump, dance, run, bike… physical activity can relieve stress, decrease cortisol (high levels of this hormone can lead to weight gain, muscle/joint pain, and insomnia), and increase endorphins (your body’s “feel good” chemicals). Revisit resolutions — Dust off your list and refine your goals. Strengthening your resolve can give you the mental boost you need to make it through even the biggest chill. Soak up some sun — It’s not only a great way to absorb vitamin D but also can be an excellent boost, especially for those with Seasonal Affective Disorder (SAD), a condition where lack of sunlight brings on feelings of depression during fall and winter. Eat a healthy diet — What you eat definitely has a bearing on how you feel. Avoid refined or processed foods and opt for vegetables, fruit, whole grains, and plenty of water. Get your rest — Aim for 7-9 hours of sleep. But don’t overdo it — too much may actually make you feel more tired. If you have to catch up on your zzz, take a 15-20 minute nap. Clinical studies confirm what religion has long suggested: creative expressions don’t just comment on the human experience, they help transcend physical suffering. With hundreds of hospitals implementing some form of art therapy program, it seems science and art go hand in hand when it comes to patient care. In fact, evidence shows that art complements, and sometimes surpasses, conventional practices for lowering anxiety, managing pain, and stimulating overall healing. One study found lullabies as effective as sedatives in calming toddlers before brain scans or other tests; the music also reduced hospital stays for premature infants. Writing seems to curtail symptoms associated with chronic disease, promote immune response, and lower stress, according to various studies. Listen to music daily. Studies conclude that musical stimulation actually engages disease–fighting immune cells, and encourages the release of feel–good neurochemicals like endorphins and dopamine. 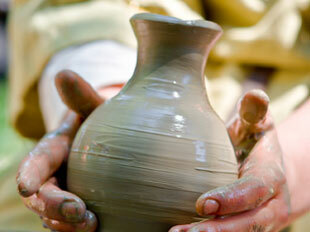 Try sculpting, or paint a self–portrait. One study found that cancer patients experienced decreased stress and pain when they engaged in a meditative art program that allowed them to manipulate clay and splash color onto canvas. Keep a journal. Plenty of research points to the positive benefits of putting pen to paper. Not only does it de–clutter thoughts, it can relieve tension, inspire problem solving, and offer insight into psychological and emotional burdens that stifle wellness. One of the main benefits of skin care is to keep your skin healthy. Healthy skin results in a glowing skin that helps deter wrinkles and stress. There are many individuals that seek the youthful glow of good health that is provided by vitamins, minerals, nutrients and supplements. Through the year, age is a factor in diminishing skin. Molecules that are called free radicals result due to exposure to oxygen and sunlight. The molecules are responsible for damage to skin cells, inflammation, and pose the threat of the development of skin cancer. Although the fountain of youth has yet to be found, there are ways that you promote a healthy appearance of a youthful glow. Most of us are aware of measures that help to protect our skin, such as, protection from the sun, to eliminate smoke and alcohol from the daily routine, and to eat a healthy, well-balanced diet. Lifestyle changes result in creating the start to healthy skin. Diet, and exercise are important, and the variety of antioxidants, and vitamins that you choose to help improve your health and condition of skin will matter. Vitamins and antioxidants work in different ways. Some are effective from the inside out while others are effective from the outside in. The intention is to target the damaging effects of free radicals and the damaging effects of the sun under the skin’s surface. 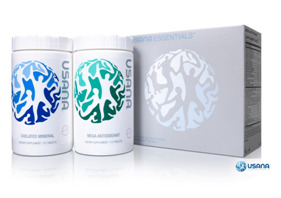 Antioxidants, as stated by Eileen Ross, often are taken to improve the overall health of an individual. Once they begin to read the benefits, they realize that these antioxidants also focus on the skin. 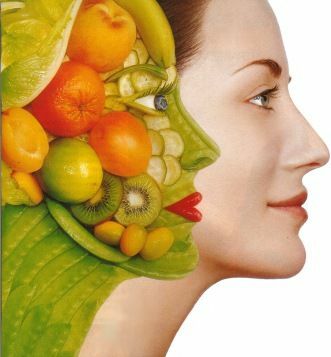 Individuals can take a vitamin and supplement cocktail that is beneficial for their health and skin. Eileen’s cocktail consisted of vitamins B-12, C, E and selenium. Within a short while, Eileen says that she was receiving many positive comments, with statements such as her skin was smooth and flawless. Research has found that some antioxidants and vitamins reduce the appearance of fine lines and wrinkle in the skin, and enhance the appearance of the skin, and prevent further damage that results from the sun. Following is a list of the most effective antioxidants and vitamins for the skin. Research has determined that vitamins C and E, as well as selenium, helps to increase the skin’s protection against skin cancer and sun damage, and to help to reverse the hands of time and help to eliminate wrinkles and discoloration that is associated with sun exposure and aging. These antioxidants that individuals can take act by the enhancing the skin’s ability to repair systems and by pre venting additionaldamage, states MD, PhD., Karen E. Burke, of the Mount Sinai School of Medicine’s department of dermatology. These nutrients are found in various skin creams. However, although the ingredients are great in aiding in healthier skin, typically, the concentration levels is low, and when exposed to light and air, they lose their effectiveness. The solution, Burke advises, is to take supplements that contain 100 – 200 micrograms of selenium (l-selenomethionine), Vitamin E in doses of 400 international units (in the D-alpha-tocopherol form), and 1,000 to 3,000 milligrams of Vitamin C to achieve maximum benefits. If you are considering giving your child selenium, make sure that they have all their full grown teeth. If you should opt to use the antioxidant in a topical form, best dose that is found in the products will contain about 02% to .05% selenium (l-selenomethionine), of vitamin E in doses of 2% to 5% (D-alpha-tocopherol), and 15% to 20% of vitamin C (non-esterified). The natural antioxidant, Coenzyme Q10, found in the body, aids cell growth and acts as a protector from dangerous cancers. As individuals age, there is a decrease in natural levels of the antioxidant which contributes to aging skin. Biofactors published a study which discovered that the Coenzyme Q10 application to the skin helped to decrease wrinkles. In most studies, the concentrate levels have been 0.3%. Alpha-lipoic acid can be applied topically to help prevent damage to the skin due to sun exposure. There have been studies that show that applying 3$ to 5% concentration levels found in creams, can help to build immunity to skin changes as a result of the sun. However, it must be stated that adverse reactions can result in some individuals. Burke states that retinoic acid helps as an anti-aging in the skin. In the skin, this is the active form of Vitamin A. The brand names for retinoic acid is Renova and Retin A and is used to reduce age spots, fine lines and wrinkles and rough skin that is a result of overexposure to the sun. Research has shown that elastic fibers that help the skin’s tautness are restored through the use of retinoic acid and that the wrinkles are reduced. The product can be purchased in creams, and gels and typical administration to the skin is daily. Higher doses of the product can result in complications, such as dryness, redness and peeling. Research that has been conducted suggests that green tea and chocolate may help to enhance the skin. Green tea may protect the skin from inflammation and cancer, while, chocolate may help aid in smoother skin. Other research has found that green tea extract skin treatments in women helped to protect them against the damaging harms of exposure to the sun. However, Burke states, that there is more research that needs to be conducted on the benefits of flavonoids to determine the best dose. Other studies include a study conducted by doctors and published in the British Journal of Dermatology that determined that beta carotene rich foods, a form of Vitamin A, appeared to help eliminate the possible psoriasis. Biotin is the most important B vitamin in regards to the skin. The vitamin forms the basis of skin, hair and nail cells and it is essential that the body has adequate amounts of biotin to ward off dermatitis or hair loss. The vitamin is found in many foods, and typically, individuals consume enough of the vitamin through foods, such as, eggs, bananas, rice and oatmeal. The body also produces biotin. Vitamin B creams show that a quick lift to the skin results. These creams perform almost instantly as they increase the tone of the skin and hydrate skin cells. Niacin, helps the skin to retain moisture, which, results in a younger and plumper complexion is as little as six days. It also soothes irritated and dry skin and acts as an anti-inflammatory. In higher doses, it can also help to lighten the skin and help to achieve an even tone, eliminating blotches. During a 2003 meeting of the American Academy of Dermatology, it was shown that vitamin B topical application can show a dramatic impact on the aging of human skin. Vitamin K helps to reduce blood clots and 2003 studies have shown that Vitamin K topical application can help to reduce circles that occur under the eyes and bruises on the body. Doctors have used Vitamin K cream after laser surgery to help prevent and reduce bruising. The combination of Vitamin K and Vitamin A can be even more effective to reduce circles under the eyes. Mineral supplements, according to co-found of Olympian Labs, Mary Sullivan, RN, are not particularly necessary with the intake of a multivitamin. And, when individuals include spring water in their diet, there is even less need, as the water contains a natural supply of important minerals. Studies also show that by mineral water used to wash the face can help to reduce skin irritations and help to hydrate the skin. Individuals can consume seafood, whole grain cereals, eggs and garlic for their selenium intake. The mineral copper is also important and when combined with the mineral zinc and Vitamin C, helpt to develop elastin in the skin. It is not suggested that copper supplements be taken as copper deficiency is rare and supplements could be dangerous. Zinc is another skin friendly mineral and one that is essential to help aid in acne. In fact, acne itself can be caused by not enough zinc in the body system. Zinc can be used topically or taken internally and help to tame the oils produced by the skin and to control the formation of lesions that result due to acne. Zinc also helps to clear acne that is present on the skin. Individuals will find zinc in foods that include poultry, oysters and lean meat. Bring down the intensity gradually. If you’ve been jogging or walking, slow your pace to a casual walk for 5–10 minutes before stopping altogether to help transition your muscles and bring down your heart rate. An abrupt end can lead to lightheadedness or even fainting, thanks to blood pooling in the legs. Take deep breaths. Help stabilize your breathing by inhaling and exhaling slowly. The increased oxygen will also feed your muscles and give them an opportunity to expel built–up lactic acid. Stretch out. Often neglected, stretching can improve flexibility, enhance recovery, and prevent injury — plus it just feels great after a hard workout. Refuel. Replenish your stores with a healthy snack that includes both carbs and protein, like a fruit smoothie, peanut butter sandwich, or baked potato with cheese. And don’t forget to rehydrate with a large glass of water. Slim down. Need another reason to shed excess pounds? Turns out the odds of developing arthritic conditions increase if you’re overweight. With each step, the force on your knees triples, so reduce the burden by lightening the load. Bulk up. Target the muscles that support your joints with exercises like quad–strengthening partial squats. With legs hip–length apart, lower yourself to 45 degrees, keeping your chest up and knees directly over your feet. Return to standing without allowing your knees to bend past your toes. Stair steps can also build strength, but avoid deep squats or lunges, which tend to overtax weak ligaments. Supplement. Glucosamine and chondroitin sulfate are gaining popularity for their pain-reducing benefits and cartilage support. Studies seem to back the claims, but experts warn that these supplements aren’t FDA approved or regulated, so it’s hard to say which brands or dosage will work best for you. As with other conventional medicines, if you’re taking a blood thinner like Warfarin, or have a history of liver, kidney, or stomach disorders, be sure to consult your doctor first.